July 22nd, 2005 -- Solo, well on his way in his change from a juvenile to an adult bird. 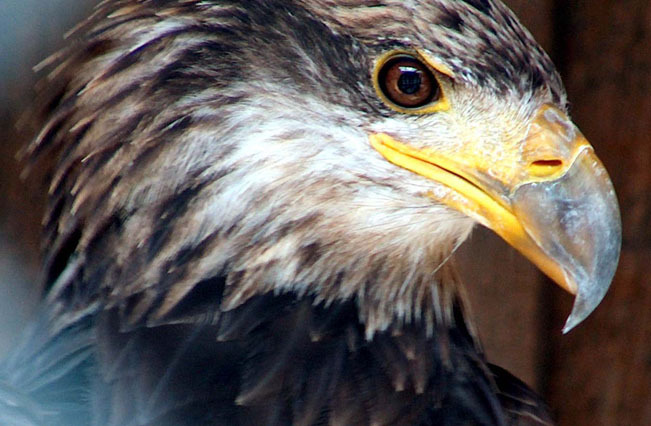 Among other things, juvenile bald eagles have brown heads and beaks and adult bald eagles have white heads and yellow beaks. You can see how much Solo has progressed so far!